Eversource’s New Hampshire CEO Bill Quinlan and others said that they expect the region will be reliant on natural gas for at least the next decade. But long-term, Quinlan says, energy efficiency and large-scale wind, solar and hydropower projects will be what helps maintain fuel supply and lower the region’s high electric rates. Governor Chris Sununu and some Republican lawmakers said they want to see renewable proposals that don't cost residents and businesses too much. In particular, Sununu said he’d prefer to see small solar development, and that he’ll only support solar that directly benefits low-income or elderly housing and residents before developers or municipalities. 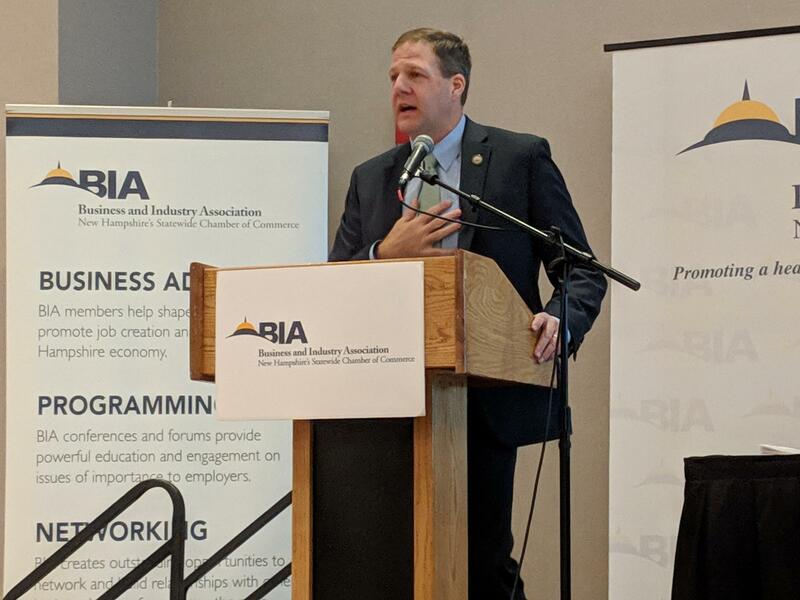 In his remarks at the BIA conference, Sununu called on businesses to support energy policies that help cut costs, instead of ones that add to what Sununu describes as unreasonable subsidies for renewables. Two major energy proposals were among the bills Sununu vetoed this year. One, which subsidizes the state’s biomass and trash-burning power plants for the next three years at ratepayers’ expense, passed by one vote in spite of that veto. The other bill, which would have expanded large-scale net metering for solar power, did not. But the incoming legislature’s Democratic majority has said they plan to push for pro-renewable policies, starting by reviving that net metering expansion. Some of those legislators, and many towns and residents, have also said they want Sununu to call for a federal offshore wind study group. It would be the first step toward turbine development off the Seacoast. On Thursday, Bill Quinlan of Eversource said he thinks the Gulf of Maine has great untapped wind potential that will soon become key to New England’s fuel mix. Quinlan told NHPR that the federal task force would be the right first step toward that end. Sununu’s office did not respond to a request for comment on whether they’ll make that request.